Are you looking to save money on your Glass Recycling Costs? Are you a pub or restaurant that has a significant amount of glass bottle waste? WasteQuoteSupermarket.com can help you save money, as well as ensure you are receiving the most efficient waste management service to fit your needs! 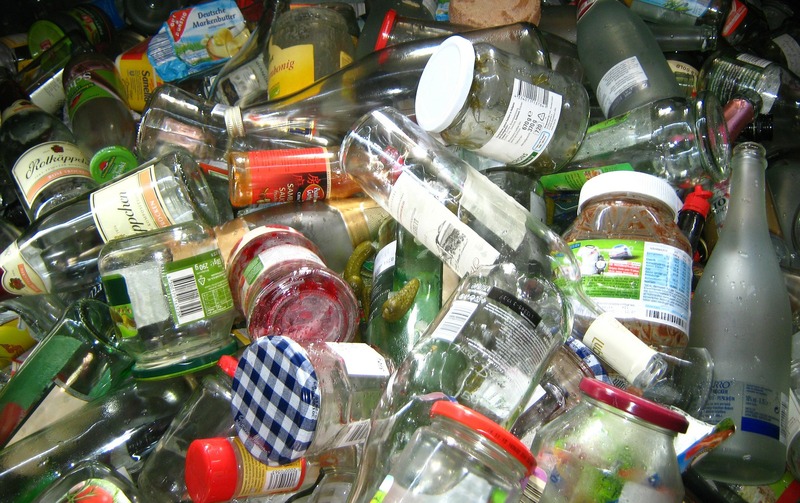 The UK is currently recycling around 50% of all glass which it consumes. Whilst 50% may seem like plenty we're still lagging behind other countries. Glass is one of the most highly recyclable materials available, with over 80% of the materials recoverable during the glass recycling process. A Flux Agent In Brick Manufacture. The amount of energy needed during the glass recycling process is greatly reduced when processing recycled glass, or “Cullet”, into new items. This equates to around a 300Kg CO2 saving per tonne of glass during the glass recycling process. In fact, recycling two bottles saves enough energy to boil water for five cups of tea. While the energy saving from recycling a single bottle will power a 100-watt light bulb for almost an hour, or a colour TV for 20 minutes. Not only is it far kinder to the environment for you to recycle. It also greatly reduces your costs for waste disposal. Any waste which is sent to landfill must be paid for by the tonne. Recycling your glass (or any waste which is recyclable), reduces the amount of money which local authorities have to pay. So you can see why recycling your glass has massive benefits for the environment, as well as a huge potential for improving your profit margins. Glass recycling just makes sense! Contact us now on 0345 5040 484 for a FREE glass recycling check! If necessary, we can help you transfer to a better service to save you money. Don’t delay! Switch today!